HP's Omen Desktop is upping its game. The new generation announced Tuesday sheds the old, boring box with "gaming facade stapled on" for a bigger, faster, and slicker design that's better-equipped for serious gameplay. Plentiful ports include USB-A, USB-C, and audio-out arrayed on a top panel. $2,199: Quad-core Core i7-7700K, 16GB of DDR4 RAM, 512GB SSD plus 2TB hard drive, and 11GB GDDR5X GeForce GTX 1080 Ti. 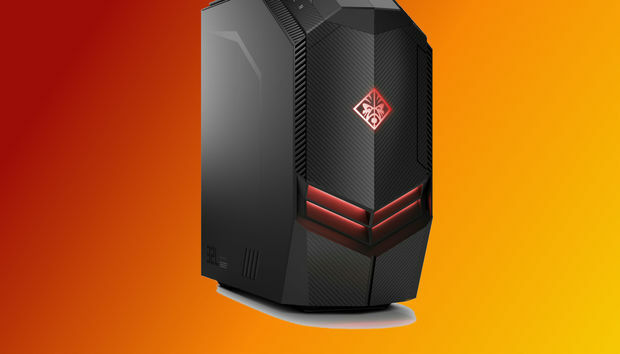 The faceted design of the new Omen Desktop exhibits the pizzazz that's more worthy of the storied Omen name. 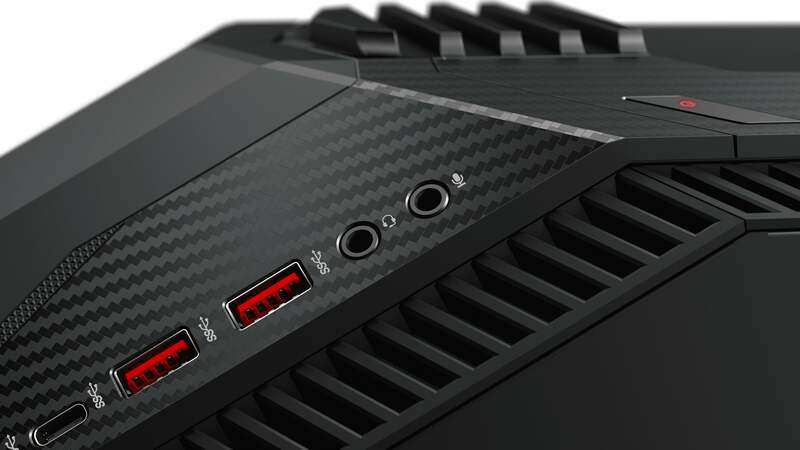 The design has purpose, too: The new Omen features twice the number of fans compared to last year's version, a 15 percent larger case, and more than 50 percent greater air flow. The new Omen features two hidden drive bays on top. Thoughtful touches for builders abound. The top of the PC has flip-open doors that conceal a pair of swappable drive bays. Inside, you'll find clean cable management and a metric ton of ports. Specifically, on top you'll find two USB 3.0 Type A and two USB 3.0 Type C. In back there are four USB 3.0 Type A and two USB 2.0 Type A, plus HDMI 1.4, DisplayPort 1.2, and three audio outputs. All but the lowest-cost configuration get a see-through access panel, too. 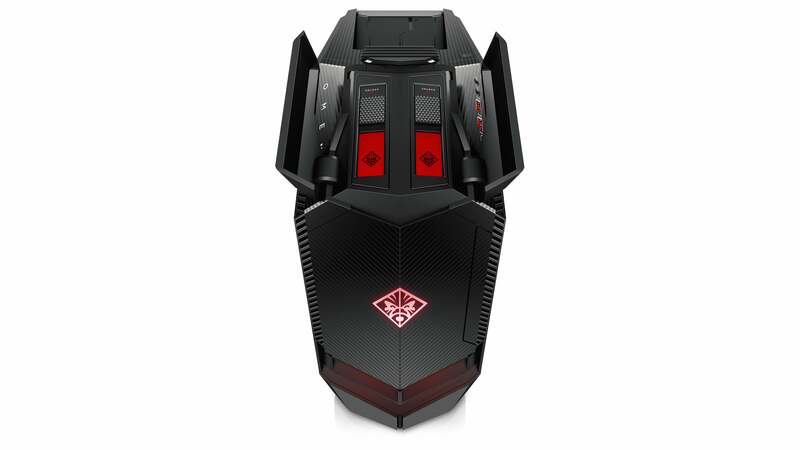 The updated HP Omen gets a lot more 'tude this year. Why this matters: Gamers don't mess around when it comes to hardware. 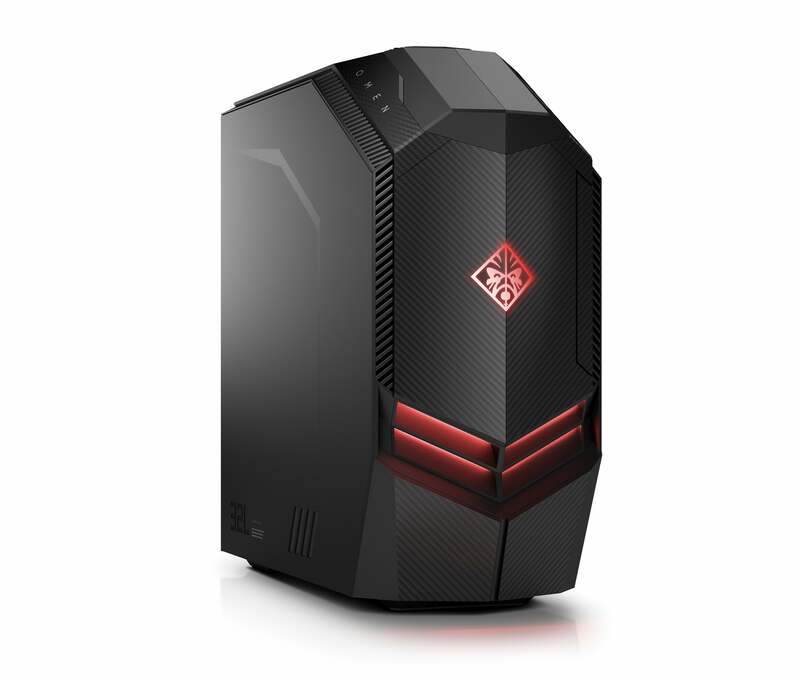 With this significant upgrade to the Omen Desktop, HP is getting serious about capturing more of that audience. The thoughtful design and aggressive pricing may force Acer, Lenovo, and Dell to think harder about their own offering.